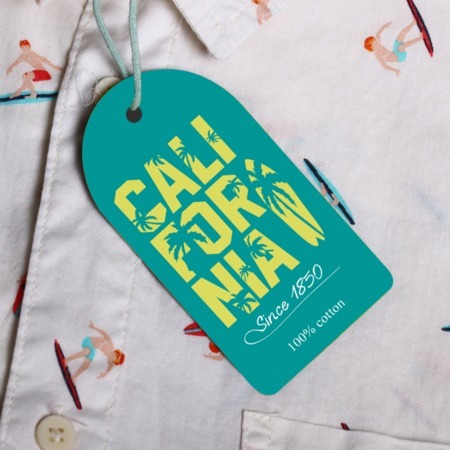 Half circle hang tags are an eye-catching alternative to standard tag shapes. Half circle tags stand out, making them good for branding. Use them as hang tags on products, clothing, favors, and more. Use them for minimalist packaging or simply for organizational purposes. These semicircle die-cut tags can be customized to fit your vision. If you plan to attach a string, we can add a hole for easy attachment during the printing process. Simply select the hole size and location you'd like when placing your order. You can also choose the paper stock and printing options at that time. We can even accommodate custom orders, like adding strings that fit your product and style, so give us a call to find out more about your hang tag options.